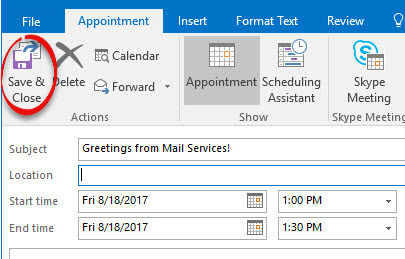 If you have received an e-mail containing an appointment date, you can drag the e-mail to the Outlook calendar. 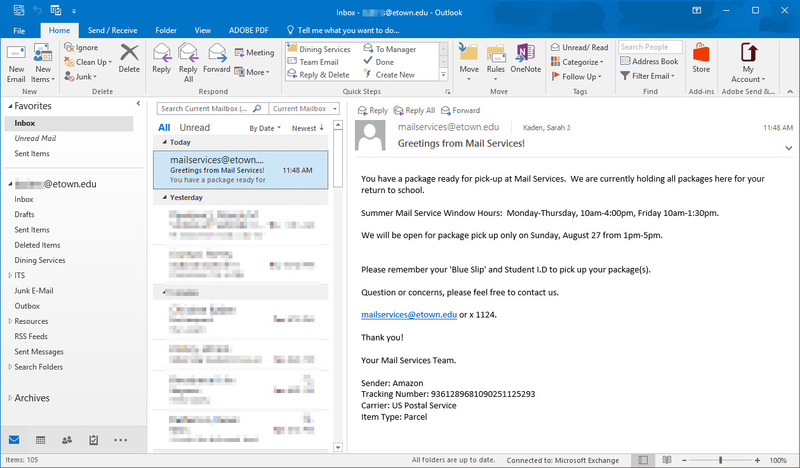 An appointment will automatically be created in the calendar with all of the details from the e-mail. Step 1:Select the message that contains the information you would like to put in an appointment. 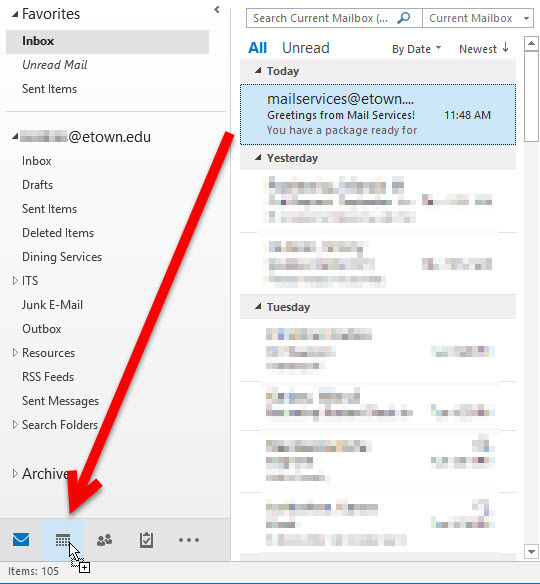 Step 2:Click, hold, and drag the e-mail to the Calendar bar. Release your click. Step 3:The appointment is created in a new window. Change the subject if needed. Choose the Start and End times, as well as the location. Click Save & Close. Step 4:The appointment will be saved to your calendar.